Dr Jason Delaney from Mount Sheridan Medical Practice answers frequently asked questions about diabetes and kidney disease. Diabetes isn’t caused from sugar consumption. Diabetes is a complex disease that is divided into a couple of different groups. There’s type 1 diabetes, which is an immune problem. It’s what’s called an autoimmune disease, where the body develops antibodies against the pancreas, which is the organ in the body that produces insulin. Over time, the pancreas no longer can produce insulin. It has absolutely nothing to do with whether you’re eating sugar or not. It’s a disease of the pancreas. Type two diabetes is a disease where the body doesn’t respond to the insulin that the pancreas is producing as well as it should. Its a thing called insulin resistance. It means the body produces insulin, but it’s not doing the job it normally does. In these people, sugar will increase your body weight, usually, and if you’re obese, then you’re more likely to develop type two diabetes. It doesn’t cause type two diabetes, but the obesity that’s associated with too much sugar in your diet can be the cause of diabetes type two. Obviously, when you have diabetes, it’s important to control your blood sugars. If you’re eating large amounts of simple carbohydrates, which is things like sugar, then that will cause a more rapid rise in your blood sugar. It’s important with diabetes to moderate the amount of sugar. It doesn’t mean that you can’t have any sugar, but you should be moderating the amount of sugar you’re having. Can I cure myself of Type 2 diabetes? With type 2 diabetes, it depends on where you are in the story of your type 2 diabetes. If you’re very overweight, and it’s very early on in the disease process, by losing a large amount of weight, we can put diabetes into remission. It may mean that we don’t need to do any other treatment other than the lifestyle changes, such as diet and exercise. I would never use the word “cured,” because often many years down the track, you may redevelop diabetes. Unfortunately, with kidney disease, you have no early warning signs or symptoms that your kidneys are failing. It’s not until you’ve lost 90% of your function that you’ll start feeling tired and unwell, and maybe get some swelling, and things like that. There’s nothing that you can rely on that you’re body’s telling you that you need to go and get a kidney check. It’s all if you have risk factors for kidney disease. Those main risk factors are diabetes, high blood pressure, obesity, family history of kidney disease or being an Aboriginal/Torres Strait Islander. For those people, we say from the age of 30, we would check your kidney function. Does drinking large amounts of alcohol put you at risk of developing kidney disease or diabetes? Drinking large amounts of alcohol doesn’t directly put you at risk of kidney disease or diabetes, but the trouble is, when you’re drinking large amounts of alcohol, it does put you at risk of obesity. As you put on weight, it’s the weight that increases your risk of both diabetes and kidney disease. Does smoking increase the risk of developing kidney disease? Smoking, unfortunately, increases the risk of a lot of different disease processes. It increases the risk of heart disease. It increases the risk of things like lung cancer, but also other cancers in the body. It increases the risk of chronic kidney disease, as well. Being a smoker is another risk factor for damage to your kidneys. Smoking isn’t a direct risk factor for diabetes. It isn’t a direct cause of diabetes, but again, for people who have diabetes, smoking dramatically increases the risk of complications, if you have diabetes. Does being overweight or obese cause diabetes? You don’t need to be overweight or obese to develop diabetes. Certainly, type 1 diabetes has very little to do with your weight. It’s an autoimmune disease. Not all type 2 diabetics are overweight. In fact, 10% of type 2 diabetics are of normal weight. What age groups are diagnosed with type 2 diabetes? 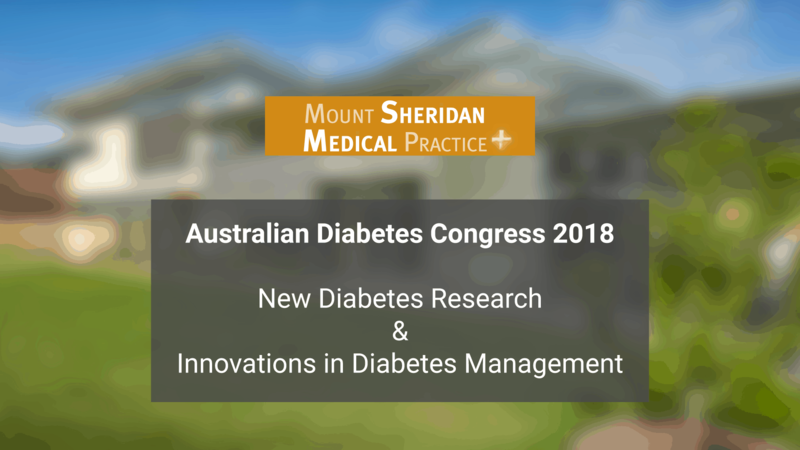 Type 2 diabetes is more common in middle age and older adults, but increasingly, with our poor lifestyle and genetics, we are seeing type 2 diabetes in the younger age group. We’re seeing type 2 diabetes develop in teenagehood onwards now. No longer is it a disease that we think about in the 40s or 50s. It’s a disease that can occur as early as teenagehood, but it is more common in your 40s or 50s. Is it safe to drive if you have diabetes? It is perfectly safe to drive with diabetes. There are some medications that can lower your blood sugar, and that can affect your driving, so it’s important if you’re on those medications that you measure your blood sugar, and you look after your diabetes. If you’re looking after your diabetes well, then you’re a very safe driver. If you would like to book an appointment to discuss kidney disease and diabetes care and management, click the button below.